It's Round Two of January's clean air public hearing marathon, and the biggest has been saved until last. One of only three national public hearings on lowering the federal ozone, or smog standard, is taking place here in DFW, at Arlington City Hall all day next Thursday January 29th, from 9 am to 7:30 pm. Last week saw a state-sponsored hearing on another TCEQ do-nothing DFW clean air plan. But the state wouldn't even have to pay lip service to such plans were it not for the requirement to meet a federal ozone level and the region's inability to do so over the last two decades. Lowering the federal ozone level means it will be tougher in the future for the state to claim it doesn't have to implement any new pollution controls on cement kilns, coal plants, or gas facilities. More importantly, enforcement of a tougher standard means better public health: fewer "bad air days," fewer asthma attacks, fewer trips to the emergency room because your child can't breath, and fewer deaths caused by dirty air. 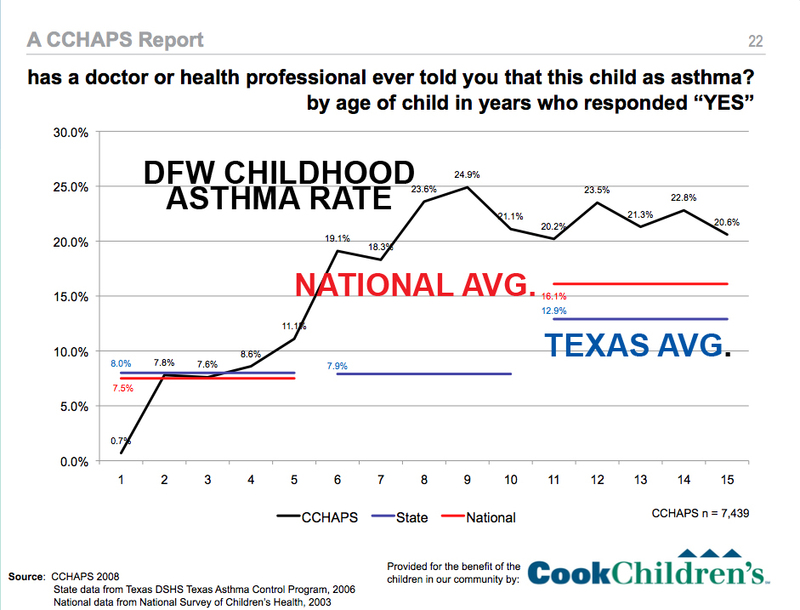 That's important because reports like the child heath survey from Cook Children's hospital in 2009 showed that childhood asthma rates in DFW were twice the state average and almost 10% higher than the national average. It called the prevalence of asthma among local children an "epidemic." Currently, the national ozone standard is 75 parts per billion (ppb) – which DFW is still at least three years away from reaching even under the rosiest of scenarios. (Right now our average is 81 ppb, and that's only because of a wetter and cooler summer in 2014). But that 75 ppb number is a political compromise – not one grounded in science. Based on public health studies the EPA's own independent board of specialists has recommended a range of 60 to 70 ppb at least three times since 2008, with an emphasis on the lower end of that range. Now it looks as if the EPA is finally willing to follow through on that recommendation. EPA's national ozone standard sets the goal of cleaner air that every state must work toward. It drives all new clean air plans. like the one the state of Texas is proposing for DFW right now. The lower the standard, the more pollution has to be reduced. The more pollution has to be reduced, the more controls have to be added to major sources of air pollution to get that reduction. That's how you get long-term clean air progress in states like Texas that refuse to act on their own. A significant reduction in the federal standard – from 75 (ppb) to as low as 60 ppb would make it much, much harder for Texas to avoid new controls on industry. To give you some idea of how much harder, consider that the state's "plan" for compliance with the current 75 ppb level is completely dependent on a new EPA gasoline mix coming onto the market in 2017. Even then, it's own estimates say that it won't get down below 75 at least three or four monitoring sites. Just one monitor site out of compliance means the whole region is in violation. Short of a huge rise in the use of electric cars, more huge decreases in vehicle pollution aren't expected. Additional significant drops in smog that would be required under a new, lower standard would have to include controls on major industrial sources – like the cement kilns, coal plant and, yes even gas facilities. When you have a much lower ozone standard, you have to reduce smog by addressing ALL sources of air pollution. Finding a way to comply with a lower national ozone standard is how more modern pollution controls were mandated almost a decade ago at the Midlothian cement plants. Meeting that new ozone standard meant pollution from the kilns had to be reduced and that made it more possible for Downwinders' "Green Cement" campaign to work with local governments. Today, there are no obsolete "wet kilns" left in Texas – they've all been replaced with more modern dry kiln operations. This has resulted in a reduction of hundreds, even thousands, of tons of smog-forming air pollution from these huge sources every year. We still have to require state-of-the-art Selective Calaytic Reduction (SCR) on the kilns, but they're releasing far less pollution than they were even five years ago because they've had to comply with a new federal ozone level. With a new, lower ozone standard, the same could be true of new controls on gas facilities, like the 650 large compressors in North Texas, and the East Texas coal plants. That's why it's important for Texas residents to fight for the lowest possible standard this time around. When you testify, please make sure you request a new standard of NOT MORE THAN 60 PARTS PER BILLION. According to a recent EPA staff analysis, an ozone standard of 60 ppb would reduce asthma deaths in the US by 95%, compared to only a 50% reduction under a 70 ppb level. If you want air that can eliminate all but a small fraction of respiratory problems associated with outdoor pollution, you need to press for a 60 ppb standard. Needless to say industry is fighting back hard against such a standard, using its usual doom and gloom forecasts of economic hardship. This is the same argument that was used against the current ozone standard – the one we have now in the middle of the biggest economic boom in a decade. In fact, the technology for bringing down pollution levels currently exists in many industries – including kilns, coal plants and compressors. It's not experimental and it's not too expensive to use, as demonstrated by its use right now in those industries. We just have to require its use in states like Texas that are refusing to implement progress. That's why this new standard is so important – it will make the state take action it would not otherwise take. It's one of the only ways citizens who care about cleaner air in Texas can force progress. Likewise, the Texas Commission on Environmental Quality's own toxicologist, Michael "Smog Ain't Bad For You" Honeycutt will also be testifying. TCEQ knows that a lower standard will force its hand on new controls. It will be pulling out all the stops to use its influence and that of sympathetic elected officials to scuttle any change. Using ideologically-based arguments supported by industry-financed studies, the TCEQ will say there are no real benefits to reducing DFW smog. Those of you that know better have to show up and say so. Speaking slots for the 29th are going very fast. Industry will be well-represented. Please don't get left out. 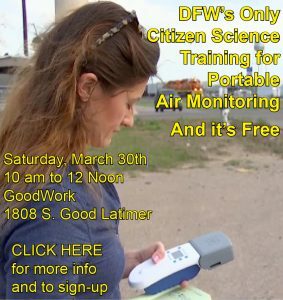 We need your voice that day to call for a 60 ppb national ozone standard. 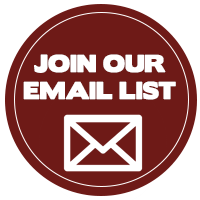 E-mail the EPA at shepherd.eloise@epa.gov and reserve your time today. "China suffers 670,000 smog-related deaths each year"
Odd how our media never report smog-related deaths here, isn't it?